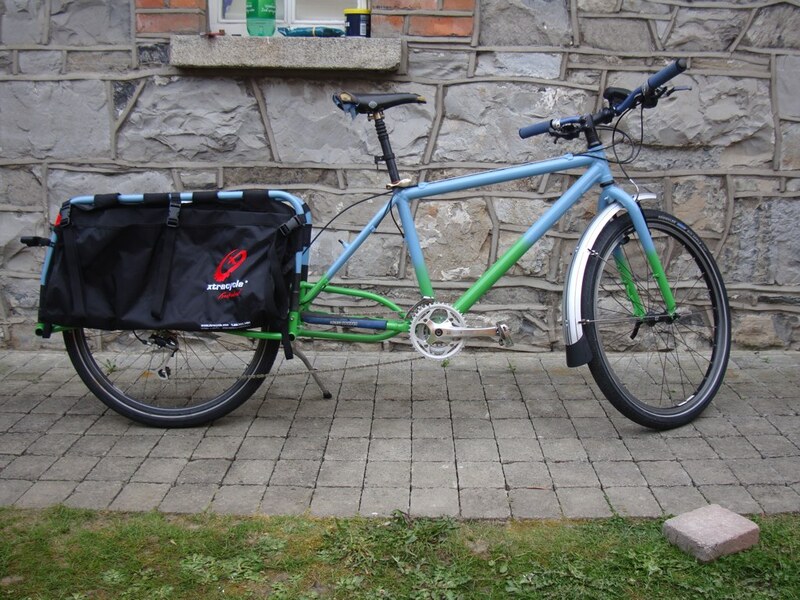 This is my Gary Fisher Big Sur Xtracycle conversion. I replaced the suspension fork with a Surly Big Dummy Fork. Just finished it yesterday. Still need to get a new saddle and some bits and bobs. 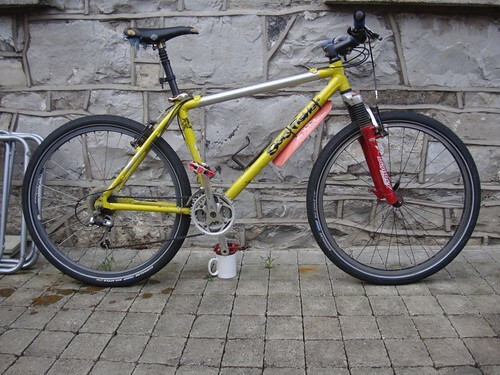 Donor bike, resting gracefully on a coffee mug.